Some players remember fondly (or not so fondly) the days where a Nidalee could throw spears from max range and hit you for the entirety of your health bar. If you're looking to get back to the good ol' days, AP Kai'Sa mid might help you relive some of them. With her 3000 range Void Seeker, she has the ability to snipe enemy champions from INSANE distances. Check out how to build her below! Kai'Sa's Void Seeker [W] has 3000 range, DOUBLE the range of Nidalee's spear, and sports a 65% AP ratio. It also has the added benefit of refunding 50% of its cooldown against enemy champions after you upgrade it, which at max rank and 45% cooldown means 7.7 seconds / 2 = a massive burst every 4 seconds. While she needs to be ahead to execute, her kit works very well as an assassin since both her passive and her Icathian Rain [Q] have built-in executions. If you manage to land a W and the enemy champion is alone, Kai'Sa can quickly end them via her ultimate -> Q -> auto attack combo. 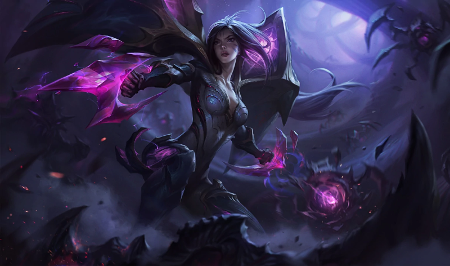 As a champion who's relatively new and almost entirely played as a marksman or jungler, few players will be ready for the amount of damage that Kai'Sa dishes from her long-range Void Seeker. 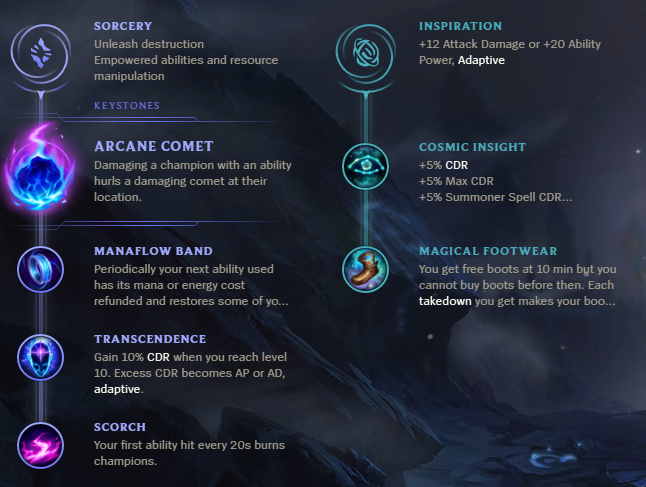 Most marksmen rarely build magic resist and supports also tend to rush Ardent Censer in the current meta. This makes for easy targets. While Nidalee spears can sometimes be difficult to spot out depending on the angle, Kai'Sa's Void Seeker is fat and comes at you from long range, allowing you plenty of time to dodge. At 65%, it's not exactly a huge ratio when it comes to long-range cheese snipes. Heck, even Lucian's W has a 90% AP ratio, although the range is less than a third as long. During laning phase, Kai'Sa can be easily abused simply because her early game cooldowns are very high. She may do better against melee champions, but needs to focus on roaming. However, her waveclear is also somewhat weak, making it difficult for her to get lane priority. Overall, the level of cheese this strategy pulls out is commendable and getting hit a few times a game by her W is enough to send you crying home. However, I don't see it becoming an LCS pick anytime soon. What do you think about Full AP Kai'Sa Mid? Comment below!